In today’s segment of the Science Lifestyle blog I’d like to introduce you all to an exceptional organization for anyone interested in space exploration and planetary science – The Planetary Society found at www.planetary.org. I became aware of the Planetary Society years ago as a superb organization devoted to many areas of science I find fascinating including the many NASA missions such as the Cassini Saturn probe, and the Phoenix Mars Lander. I’ve been a member of the Planetary Society for quite some time and I’ve always been grateful for all the timely scientific information the organization imparts. 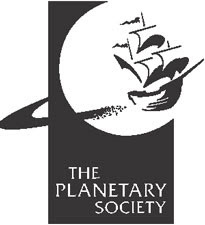 The Planetary Society was founded in 1980 by world renowned astronomer Carl Sagan, Bruce Murray, and Louis Friedman with the mission “to inspire the people of Earth to explore other worlds, understand our own, and seek life elsewhere.” In my experience, the Planetary Society achieves this mission and much more. The Planetary Society is non-governmental and nonprofit and is funded by the support of its members. The Planetary Society has many outstanding benefits for its members. The society hosts regular events and conferences coordinated with the culmination of NASA missions. I recall sitting in a huge auditorium at the Pasadena Convention Center on January 14, 2005 when the Huygens probe landed on Saturn’s largest moon Titan. The crowd erupted as the probe start transmitting images of Titan’s surface. It made me feel as if I was a part of history. But not all missions were successful. I was also on hand for the 1999 Mars Polar Lander’s unsuccessful landing, and witnessed the same crowded venue full of disappointed and crestfallen faces. But that’s the good and bad of scientific discovery.The Planetary Society also plays host to an annual event called Planetfest, a great place for the entire family to appreciate astronomy and the science of space exploration. As a member of the Planetary Society I got my name etched on a silica mini-DVD disc that was mounted on the Phoenix Mars Lander. Finally, membership in the Planetary Society includes a quality monthly journal “The Planetary Report” containing excellent articles to keep you abreast on current developments in the field of space exploration. The Planetary Society is a very worthy group of science enthusiasts that should attract your serious consideration. Highly recommended! Thank you so much for the wonderful plug in your blog. I have shared the link with colleagues here -- we are so grateful to have members/supporters like you. As the world of the internet continues to grow in its influence on public opinion, it becomes increasingly important that many voices be heard in support of space exploration. Thank you for adding yours to the mix, and on our behalf.